Signal Group, LLC brings the best electronic products and satellite TV solutions to a variety of people with different needs. Based in Novi, Michigan, Signal Group is a global e-commerce powerhouse in the fields of home theater, institutional audio/video, home automation, and high-end mobile entertainment. Since 2002, the company has been the market leader in providing solutions for every type of electronic installation. Signal Group carries nearly every major brand of telecommunications equipment. We also have preferred dealer status with some of the largest companies in the world. This allows us to pass amazing savings and the latest product knowledge on to our customers. 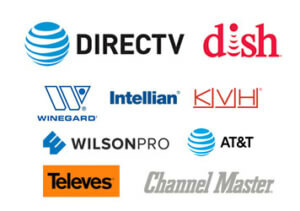 As both an AT&T Preferred Dealer and DISH Authorized Dealer, our staff also delivers satellite TV solutions to homes, businesses, RVs, yachts, institutions, and more. Providing the best customer support to our clients is where we truly excel. Whether you are a home techie looking for the latest gadget or a multi-billion dollar organization, Signal Group serves your needs. Our staff has decades of experience handling situations from small to large. When you have a question or need helpful advice, we are just a phone call away.